Breandáin caught up with the renowned Melburnian, Peter Singer, in Berlin at the presentation of the 3rd annual “Peter Singer Award,” an accolade given to those working on strategies to relieve the suffering of animals. 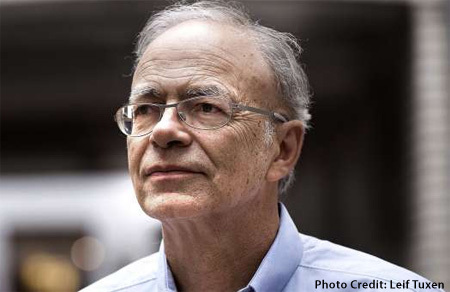 Peter Singer was born in Melbourne in 1946, the son of two Jewish immigrants from Vienna. Three of his grandparents perished in concentration camps in the 1940s, and his sole surviving grandmother, who had survived Theresienstadt, came to live with his family in Melbourne, bringing with her a paper Peter’s grandfather had co-authored with Sigmund Freud. 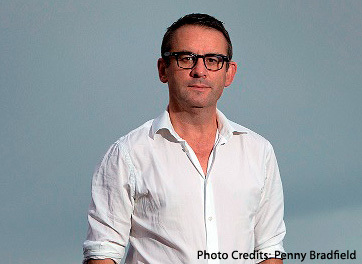 Peter studied philosophy and history at the University of Melbourne and at the University of Oxford, where he also served as Radcliffe Lecturer in Philosophy at University College. Since that time, he has held various academic positions. In Australia he was director of Monash’s Centre for Human Bioethics and Co-Director of its Institute for Ethics and Public Policy. Since 1999, he has been the Ira W. DeCamp Professor of Bioethics in the University Center for Human Values at Princeton University and, since 2005, he has also been Laureate Professor at the Centre for Applied Philosophy and Public Ethics at the University of Melbourne. Much of Peter Singer’s career has been devoted to social and political causes, most notably animal rights, but also famine and poverty relief, environmentalism and reproductive rights. One of his first articles entitled, “Famine, Affluence, and Morality” argues that affluent persons are morally obligated to donate far more resources to humanitarian causes than is considered normal in Western cultures.